How Important Is Playtime And Why Are Pediatricians Prescribing It? Parents only want the best for their kids and for most parents this means scheduling activities all year round. Making sure that our kids get the best after-school classes and have the best tutors is often the top priority. However, we're forgetting one key aspect that can help our kids become more confident and resilient individuals - playtime. Playtime isn't just a way to keep our kids amused or entertained. It has a powerful value that we all need to take some serious looking in to. But, for full-time parents like myself squeezing in playtime during workdays is next to impossible. Albert, a close friend of mine and also a full-time working dad feels that he's not creating a strong parent-child foundation when he fails to play with his daughter. He tries to make time for play when he gets home and especially during the weekends. According to a survey conducted by Rappler, only 57% of parents play with their children and only 28% of those do this because they wish to create a deeper bond with their kids. As you can see from the survey, 43% of the parents surveyed do not play with their kids at all. This is an alarming rate and something that we need to act upon on right now. According to Ma. Lourdes De Vera-Mateo the UNICEF Philippines' Chief of Education, "Play-based learning could be the key to develop an early love of learning. This can improve school attendance, creativity and ultimately, spell the difference between the success and failure of a child when he starts formal school." Kids learn better through active play. A good example is a kid playing pretend supermarket with his friends. This kind of play helps develop cognitive, social and language skills. Another example is a kid playing with toy blocks in different shapes and colors. It enables the kid to physically feel and see what these shapes or colors are like. Approach playtime as an opportunity for learning. Think of it as a Science lab activity wherein you get to do cool things and learn at the same time. When it comes to playtime be imaginative about it. Think about how you used to play when you were little. With less screen time and more active, physical activities children grow up healthier and stronger. Running around the playground for hours can be tiring for parents. But the benefit you get out of it outweighs almost anything. Let them enjoy the outdoors, go to a beach, plan a camping activity together or even something simple like a walk in the park. Whats' important is that at a very young age, they get to experience playing outdoors. As a child, I wasn't always allowed to play outside. I was left to play with my toys inside the house but it led me to discover some pretty cool games on my own. Encouraging kids to play and imagine things helps them become resilient in the future. It develops the creative part of their brain to think outside the box when left with no choice. It encourages innovative solutions for problems with school and later on with their family and career. Creativity is a skill that kids don't get from too much screen time as they are already presented with what they want, leaving no room for imagination. Playtime is fun and kids should be having fun. Playtime also creates good memories that your kids can remember when they grow up. It also helps you feel more relaxed as you don't have to be anything in front of your kids. You can make goofy and funny faces and you won't be judged for it. Playing with your kids is a great way to bond with them and to get to know them. I'm no expert in play too, I used to catch myself being too busy for it or if not, I'm just exhausted to even do it. But when Joaquin was diagnosed with speech delay last year and the main cause was too much screen time, we knew we had to do something about it. We immediately stopped him from watching his shows and made sure to do playtime activities with him. It was challenging at first, whenever he would see his iPad he would automatically ask us if he could his shows. He would cry incessantly and it's like seeing an addict go through withdrawal. But we had to do it. And the only way to do it effectively is if we do it as a family and play with him each time we can. After a few months on playtime medication, his vocabulary has greatly improved. Now at 2 years old, he's smarter and more sociable than ever. Kids are playing less these days with gadgets on the rise. 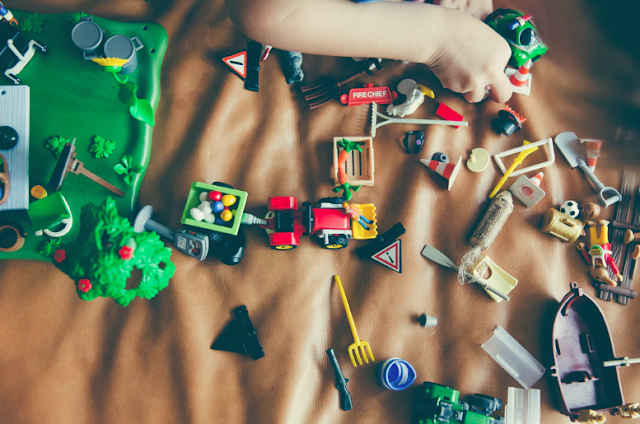 Playtime is often overlooked by parents as an integral part of a kid's development. Make time for your kids and schedule play time. With our fast-paced life, it's easier said than done. And sometimes it's easier to just enroll them in a class, but nothing is better than playing with your child. It fosters a closer relationship and helps develop executive functioning skills that they can benefit from in years to come.